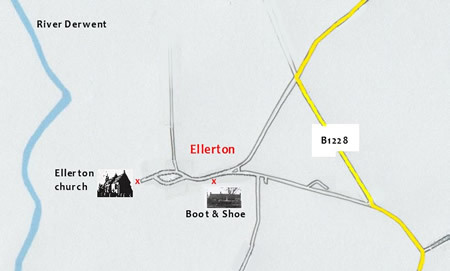 Ellerton is 14 miles south-east of York, just off the B1228 York-Howden road, which is accessible from the north via the A64/A1079 or from the south via the A163 at Bubwith. The church is the last building at the far end of the village, and access is via a grass path and two small steps (ramp available). We have plentiful car parking, but no dogs are allowed in the car park field, please. Nearby is The Boot and Shoe - a friendly, traditional village pub with great ales, where very hearty meals can be booked in advance (01757 288346). 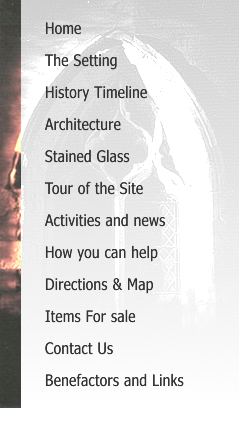 For walkers and bicyclists, the map reference of the Priory church is SE 702 398.